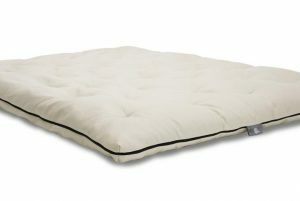 On the inside, this topper has 1.5 inches of natural rubber covered in an organic cotton tricot. 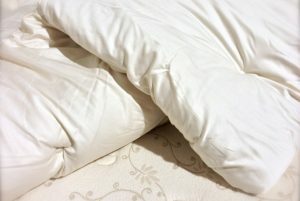 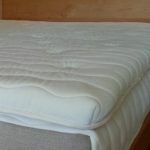 On the outside is organic cotton velour quilted to a very thick layer of pure wool. 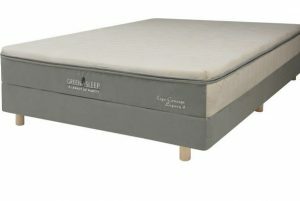 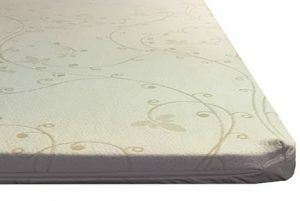 It is hand tufted with an organic cotton yarn for a perfect finish. 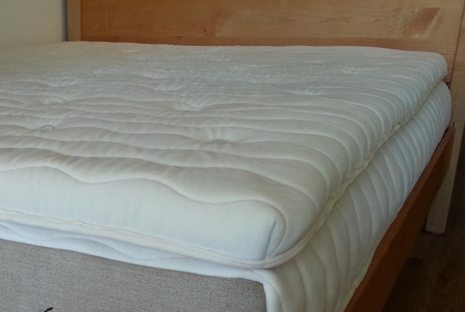 This organic mattress topper is approximately 2.5 inches thick. 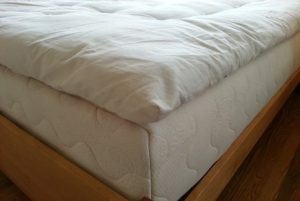 Read more about the materials used in Green Sleep products. 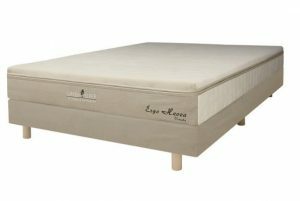 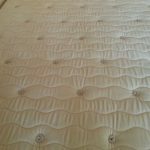 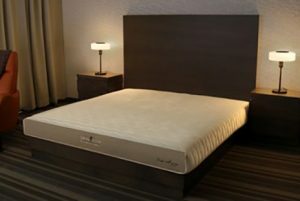 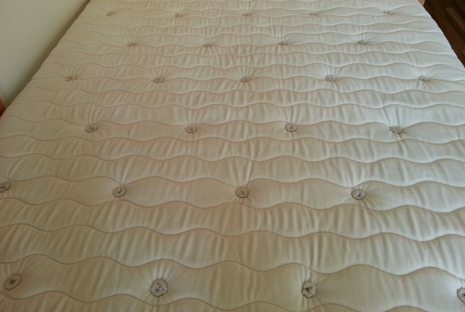 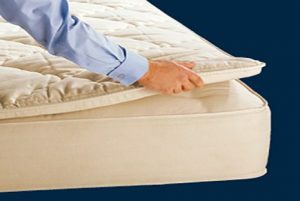 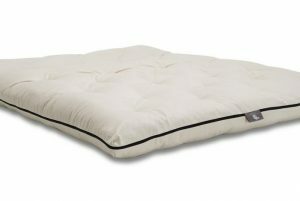 Freefrom 3 inch Convoluted Natural Latex Topper $450.00 – $750.00 On Sale! 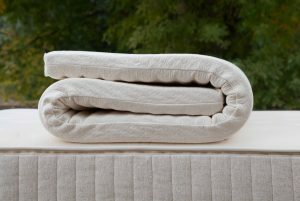 Three inches of convoluted natural dunlop latex wrapped in stretchy organic cotton knit for superior comfort and breathability!